Josh Briskman, Attorney - Briskman & Binion, P.C. Josh Briskman joined the firm in 2008 after practicing in Birmingham, Alabama at the law firm of Baxley, Dillard, Dauphin, McKnight & Barclift since 2002. He graduated from Elon College in 1999, and received his J.D. in 2002 from the Cumberland School of Law at Samford University. At Cumberland, he served as Student Materials Editor of the American Journal of Trial Advocacy. He was also an active member of the trial advocacy program. He won honors while serving on the National Trial Team. Josh represents individuals in criminal and civil litigation in Alabama Federal and State courts. His practice focuses primarily on criminal, personal injury and domestic litigation. Josh also has experience and verse in civil defense litigation. He is admitted to the Northern, Middle and Southern U.S. Districts of Alabama and all State Court systems in Alabama. Josh is an accomplished litigator having served as co-counsel in several noted cases, including United States v. Don Siegelman and United States v. Jack Swann . He also served as counsel in many reported appellate decisions. 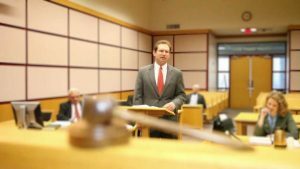 Josh is a member of the Alabama State Bar and a member of the American Bar Association, Alabama Bar Association, Birmingham Bar Association and the Mobile Bar Associations. He is also a member of the National Association of Criminal Defense Lawyers, the Alabama Criminal Defense Lawyers Association and the Mobile Criminal Defense Lawyers Association and the American Association of Justice. Josh is the husband of the former Sheridan Pettey. They have two children, Williams and Mayer Briskman.